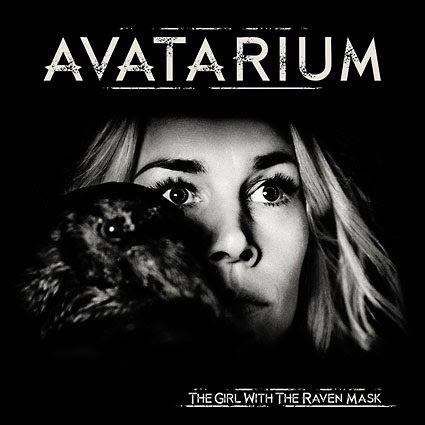 AVATARIUM: nuevo disco "The Girl With The Raven Mask"
AVATARIUM el proyecto que cuenta con Leif Edling, el bajista fundador y principal compositor de CANDLEMASS, lanzará su nuevo álbum, "The Girl With The Raven Mask" el 23 de octubre a través de Nuclear Blast. Avatarium están en el estudio Gröndahl, grabando un nuevo disco, que saldrá a la venta en la primavera de 2017 a través de Nuclear Blast. Sweden's doom darlings AVATARIUM have entered the Gröndahl studio and currently work on a follow-up to their highly acclaimed second album »The Girl With The Raven Mask«. This third brainchild will include eight new tracks and is scheduled to see the light of day in spring 2017. 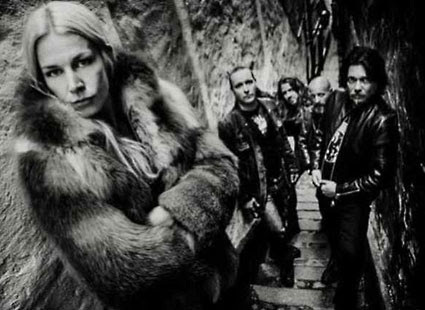 After topping multiple soundchecks in the leading European music magazines, AVATARIUM won the 'Up And Coming'-award on the German Metal Hammer Awards and with their catchy riffs, mystic atmosphere and unique voice of frontwoman Jennie-Ann Smith, they will once again bewitch doomsters all over the globe. "AVATARIUM is about pushing boundaries and exploring new grounds", states guitar master Marcus Jidell. "Inside the four walls of our pantheon the ceiling needs to be high to let the creativity and imagination fly free. Our focus is not on technical aspects but on landscapes and colors. Diverse emotions such as anger, despair, grief, empathy and hope all find their place in our music. We are aiming to find the human touch, keep it simple and allow mistakes but also make it glorious, shining and bigger then our own selves. 2017 needs to be the year when we bring in a new way of thinking and create music without computers holding us back with mathematic formulas and degrading bands to mass products created on conveyor belts. 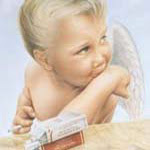 AVATARIUM is taking the lead and inviting you to follow!" AVATARIUM, nuevo disco "Hurricanes And Halos"
Avatarium lanzará su tercer álbum de estudio, "Hurricanes And Halos", el 26 de mayo a través de Nuclear Blast. "Hurricanes And Halos" fue producido por Jidell, mientras que David Castillo (Katatonia, Bloodbath, Opeth) lo grabó y mezcló en los estudios "Ghost Ward", el masterizado fue realizado por Jens Bogren (Soolwork, Sepultura). Avatarium announce third studio album »Hurricanes And Halos«! Sweden's doom darlings AVATARIUM are back with their third studio album and once again, singer Jennie-Ann Smith and her gentlemen cast a spell over you with a truly magical sound experience - »Hurricanes And Halos« will take the world by storm on May 26th and contains eight majestic new tracks. The new album was produced by Marcus Jidell himself, while David Castillo (KATATONIA, BLOODBATH, OPETH) recorded and mixed it in the famous Ghost Ward Studios and the mastering was done by Jens Bogren (SOILWORK, SEPULTURA). Together they created an organic and warm sound that sets »Hurricanes And Halos« apart from the overbred, electronically optimized mass. "Recording »Hurricanes And Halos« has truly been an emotional roller coaster for me and I do think that has contributed to a pure and vibrating energy on the album. I am deeply proud of what we have achieved together," states lead singer Jennie-Ann Smith and guitar wizard Marcus Jidell adds: "It feels like the two previous albums and the EPs lead us to this one, it's been a natural flow to where we are today, musical and emotional wise"
AVATARIUM: portada y lista de temas de su nuevo disco "Hurricanes And Halos"
AVATARIUM: nuevo tema "Into the Fire/Into the Storm"